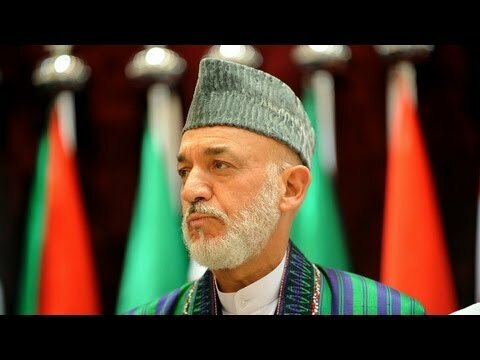 Afghanistan President Hamid Karzai on Monday confirmed an NYT report that he has been receiving cash payments in a paper bag every month from the US Central Intelligence Agency. Karzai maintained that the money actually goes to the director of national intelligence to be used for intelligence work, but the implication of the NYT article was that he is simply on the take. CNN has a video report, where Jake Tapper interviews Amb. Peter Galbraith on Karzai’s corruption. The spokesman of the Afghan president has announced that Hamed Karzai is going to restrict the activities of the US Central Investigation Agency (CIA) in Afghanistan saying: “The decision has been made to prevent civilian casualties”. Lemar TV reported, quoting Emal Faizi, the president’s spokesman, that the president has decided to restrict the CIA’s activities in the country. The president’s spokesman stated that Hamed Karzai believes the main factor behind civilian casualties is the lack of coordination of the CIA’s activities in Afghanistan. According to him, President Karzai believes that illegal paramilitaries act without coordination with the Afghan institutions while reporting to the CIA. Faizi said: “When the issue of civilian casualties in military operations of the Americans are discussed, the USA justifies that they have carried out the operations in coordination with the Afghan forces while no coordination has been done with the Afghan government institutions”. Faizi did not explain how the president is going to restrict the CIA’s activities in Afghanistan. It has been said that Mr Karzai decided to restrict the CIA’s activities in Afghanistan after a number of civilians were killed in a NATO air strike in Konar Province. In this attack, which took place last week, 17 civilians including 11 children were killed. With Karzai, it is all Kabuki theater.